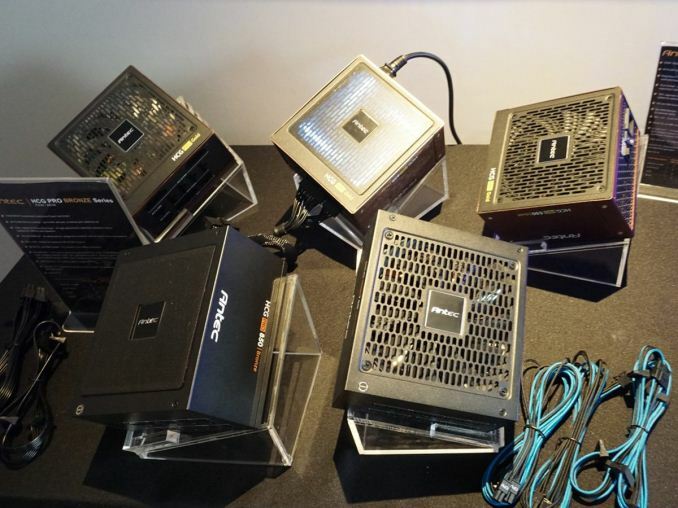 After quite a long time, Antec is ready to release two new PSU lines, the HCG Pro Gold and the HCG Pro Bronze. The HCG Pro Gold line consists of five members with capacities ranging from 550W to 1kW. Besides 80 PLUS Gold efficiency and a fully modular cable design, these units also feature a full-bridge topology on the primary side along with an LLC resonant converter for increased efficiency. On the secondary side a synchronous design is utilized along with a couple of DC-DC converters for the generation of the minor rails. We also noticed that the new Antec PSUs use magnetic fan filters, which can be easily removed for cleaning. This is a good idea, and we first noticed it in some SilverStone units. Finally, Antec will offer individually sleeved cable kits for those PSUs in several colors. The cooling fan in the HCG Pro Gold units uses a fluid dynamic bearing, which is preferred over double ball-bearings because it’s quieter yet still offers the same (and in some cases even higher) lifetime. The only problem with FDB fans is that they aren’t so suitable for semi-passive PSUs, which frequently change from passive to active operation and vice-versa, because during the fan’s start-up phase the friction to the shaft is increased until the oil gets pumped up to the top of the bearing. The HCG Pro Bronze line consists of only two members, with 750W and 850W max power. As the naming scheme implies, both units have 80 PLUS Bronze efficiency and at their internals only Japanese caps are used, while the cooling fan has double ball-bearings, which are highly preferred over sleeve bearings. All protection features are provided, and both PSUs have four PCIe and two EPS connectors. It is very good to see affordable, mid-capacity PSUs with a couple of EPS connectors. So far we don’t have information on the OEM, availability, warranty, or estimated release date of the new Antec PSUs.